ThrowRight.com is proud to offer the Best 12 Inch Softball Wiffle balls on the market... Baden big leaguer wiffle balls. Sold in 2 dozen lots with a carrying bag. These are the best Wiffle or Whiffle balls that we have every used. We have not broke one in 3 years. These are brand new in their original packaging. 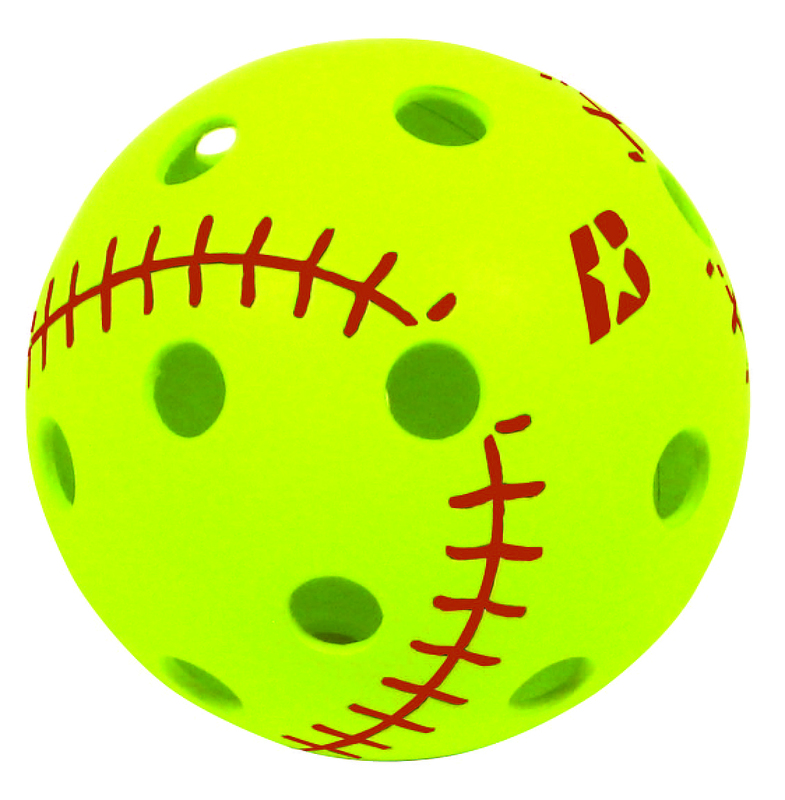 Baden's Whiffle ball; the BL12 Big Leaguer® is the best whiffle ball made. The red seams allow batter to see or pick up the spin on the ball. Not only does it move just like a regular softball , but the material it is made out of is extremely hard to crack. The special plastic allows a ball that is dented on a hard hit to recover it shape on its own. Sold in 2 dozen with mesh carrrying bag. Shipping is 15 per case. Free shipping on orders ordering more than 12 cases. BL9 Yellow and Red Seamed 12 Inch Official Size Simulates the pitch of a real softball Embossed seam protects the color from wearing off Red Seams allow batter to see ball rotation Patent pending Special memory plastic keeps shape and prevents cracking. Best Whiffle wiffle ball made. period!